If you love to be in the world of Harry Potter, you must read this story. Beautiful illustrations and design, absolutely magical, story and wonderful characters! One more master piece to read all at once over and over!! I'm a huge fan of the Harry Potter universe and really enjoyed the first Fantastic Beasts film. 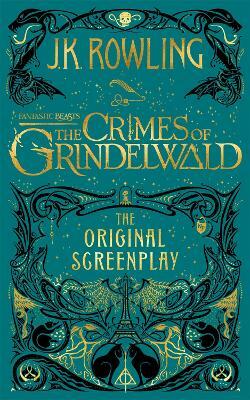 I've seen a the Crimes of Grindlewald film and I just wanted to add this book to my collection as I already have all other Harry Potter books. Also the cover of these books are just beautiful and I'm a sucker for that.